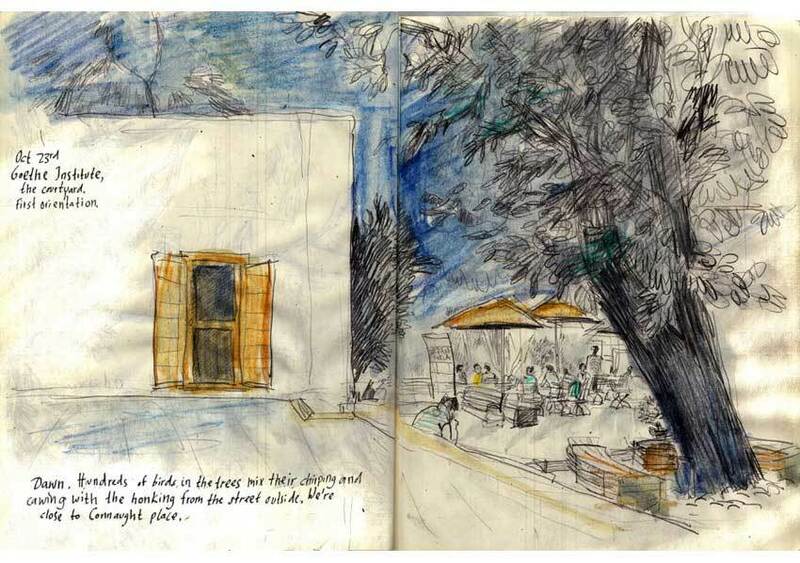 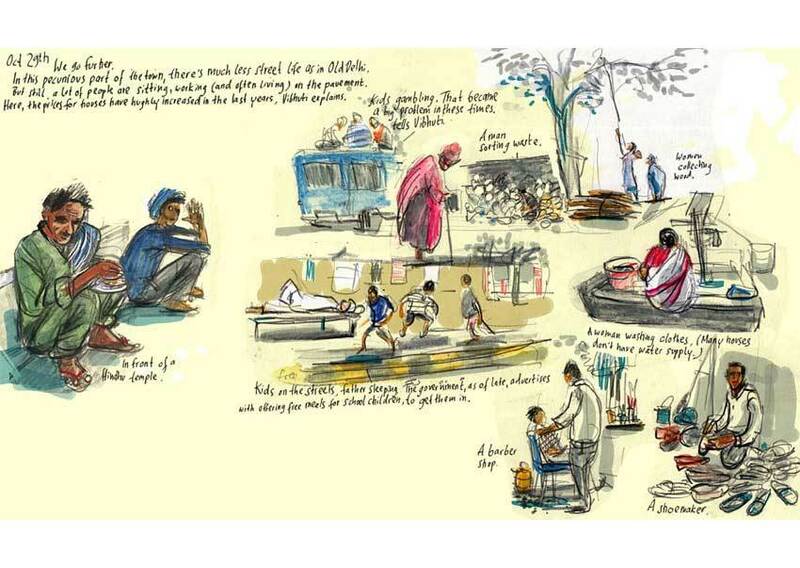 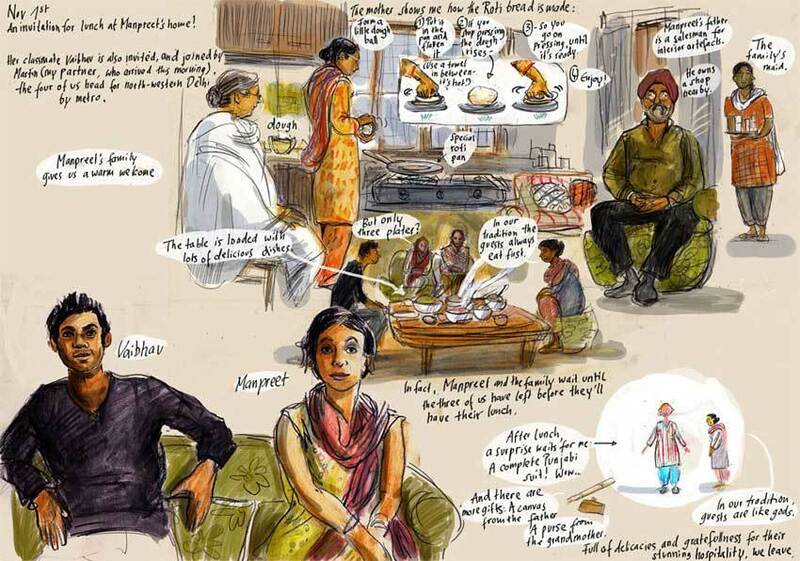 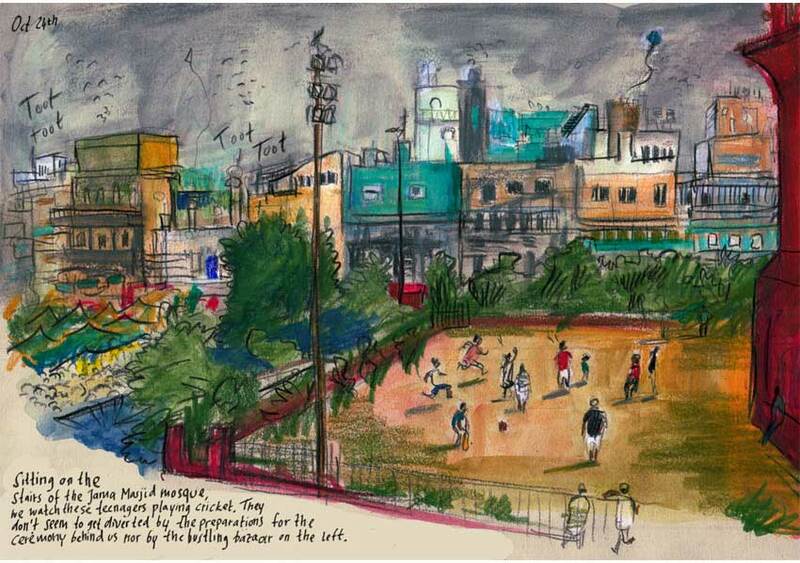 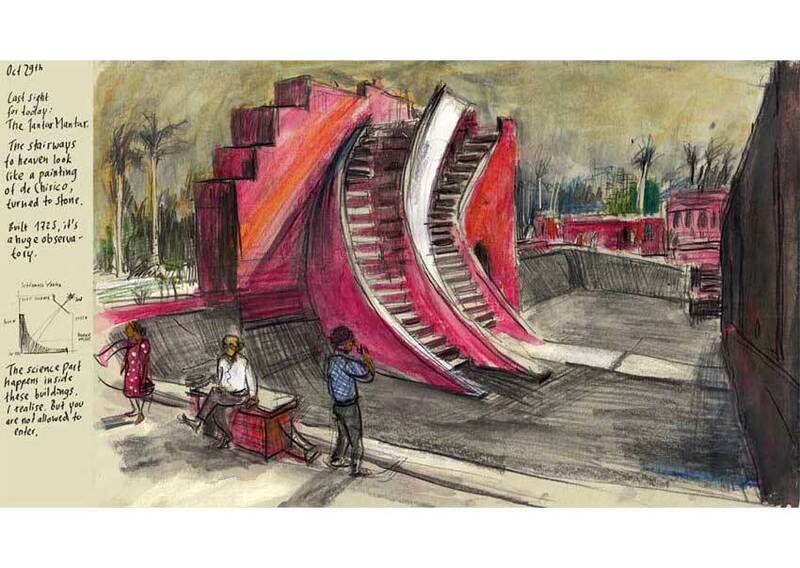 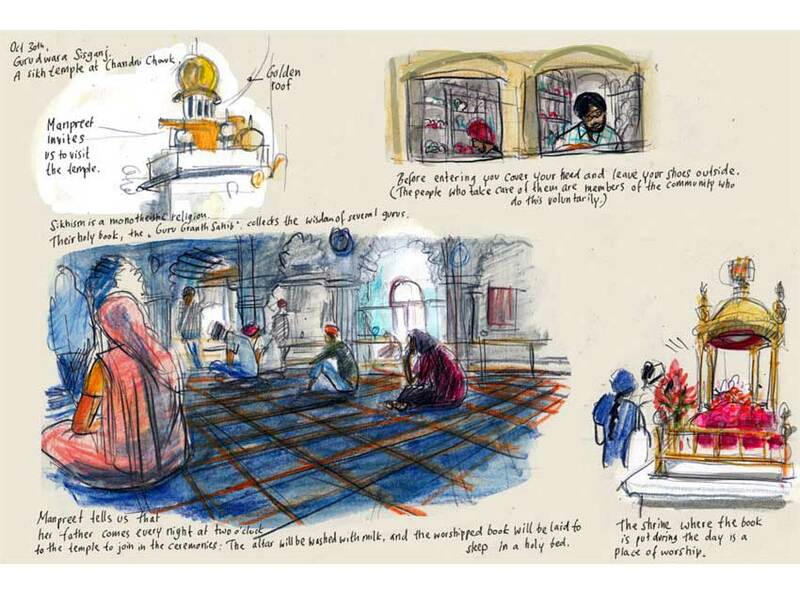 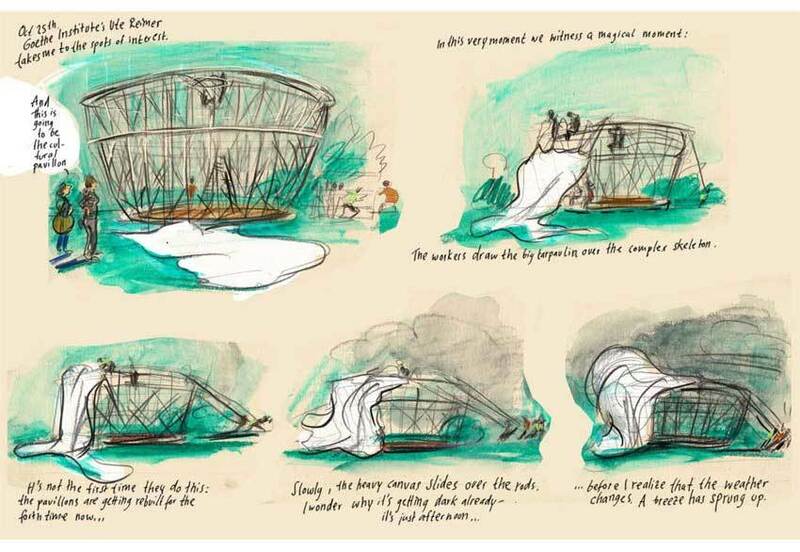 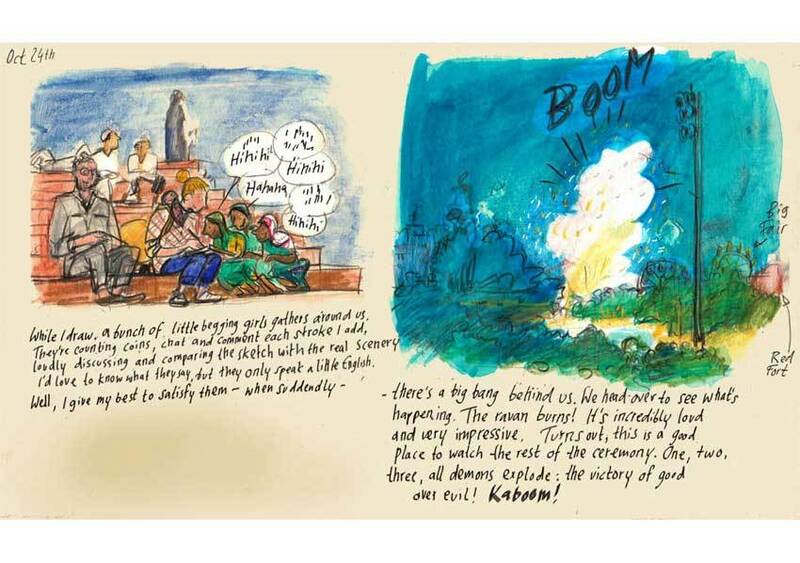 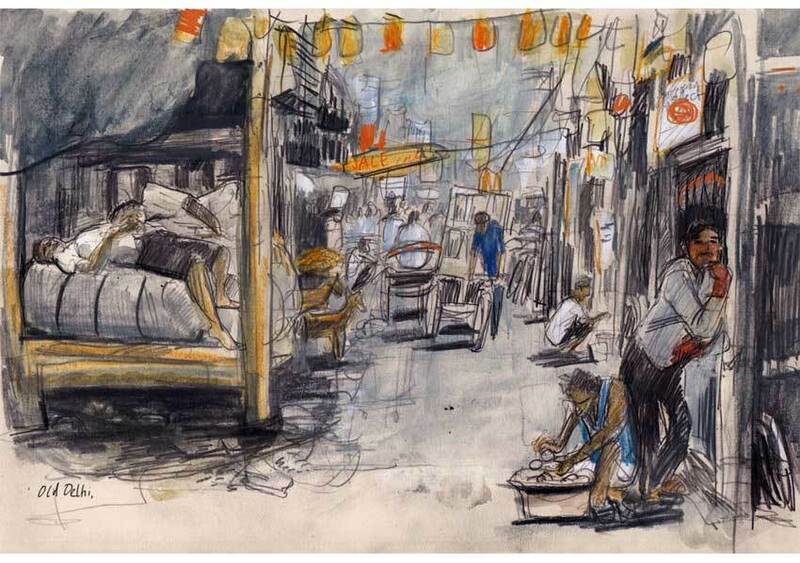 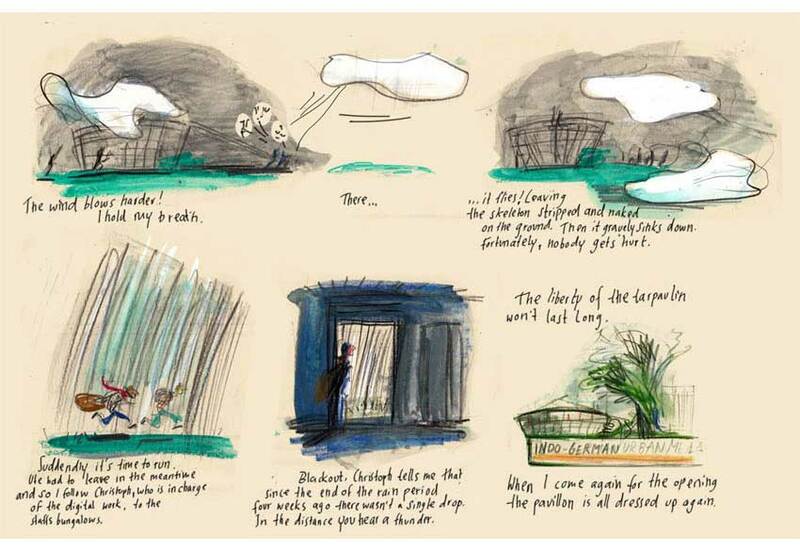 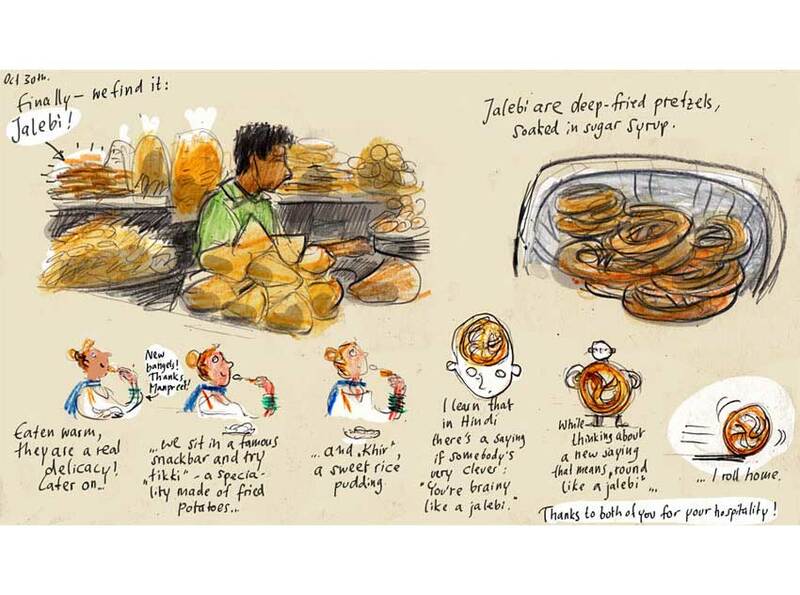 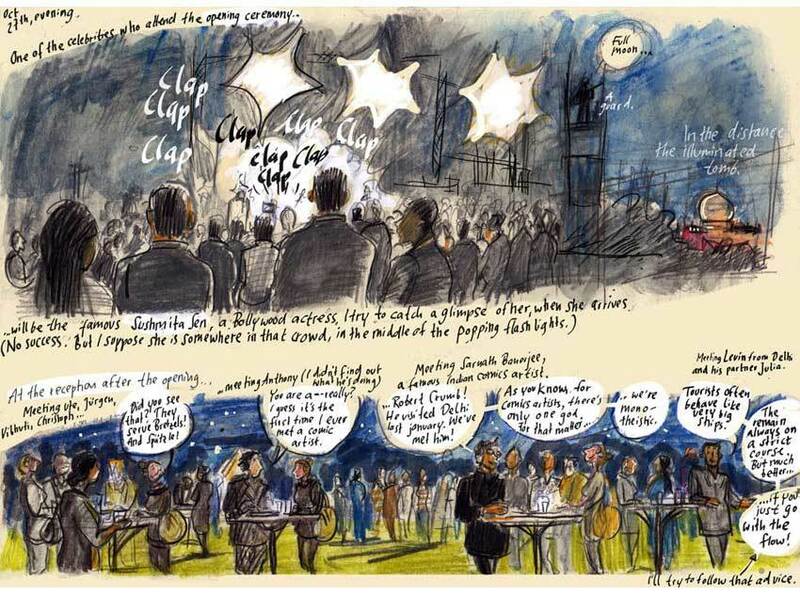 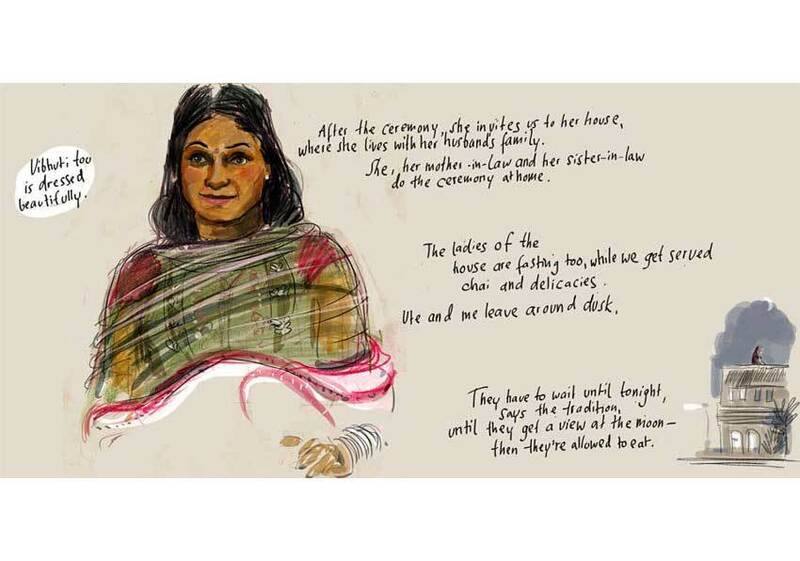 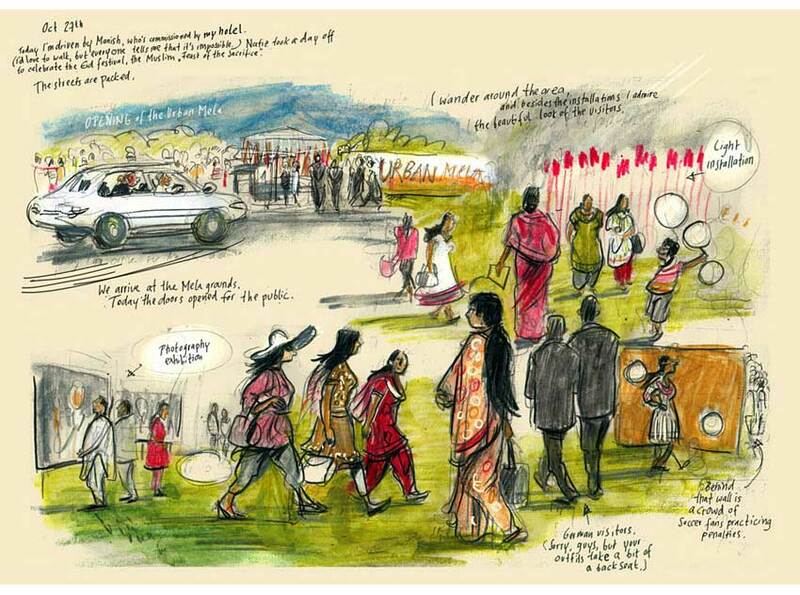 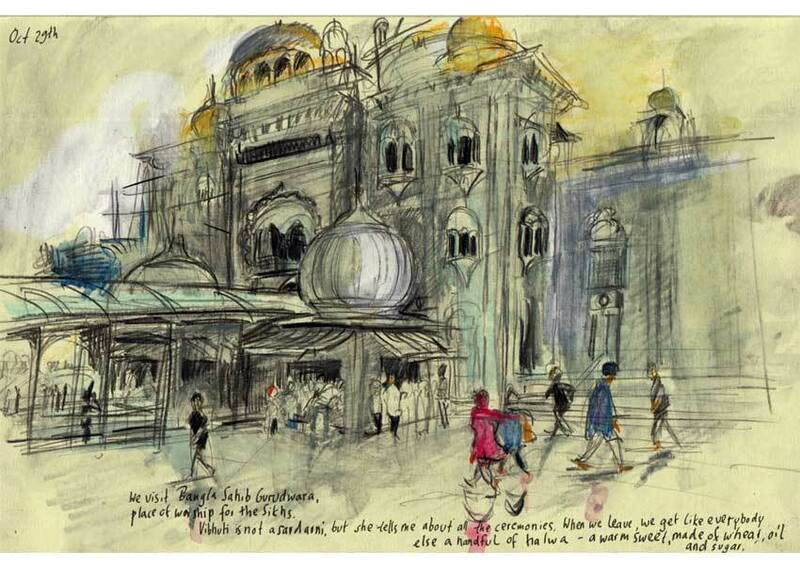 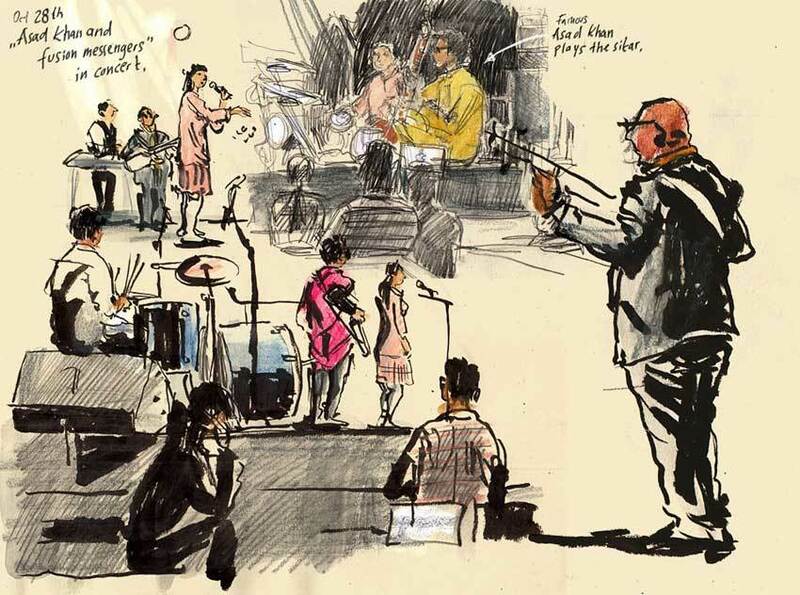 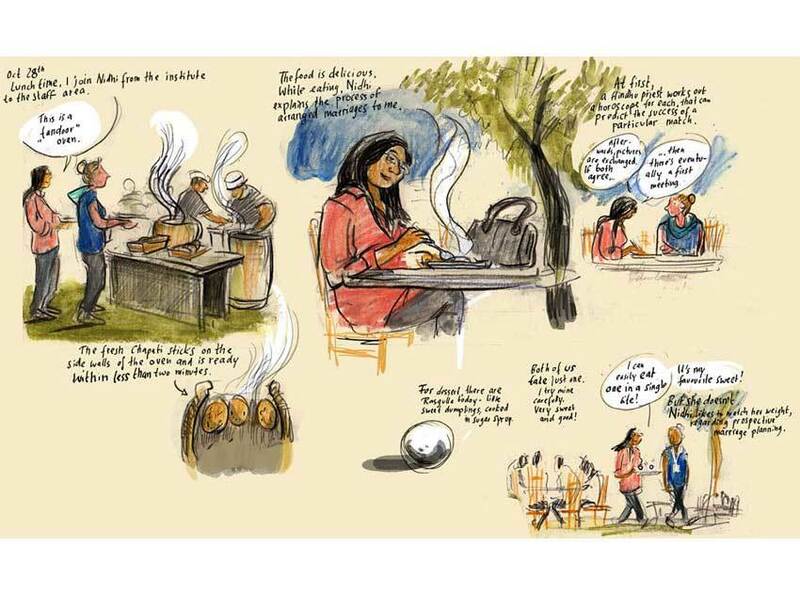 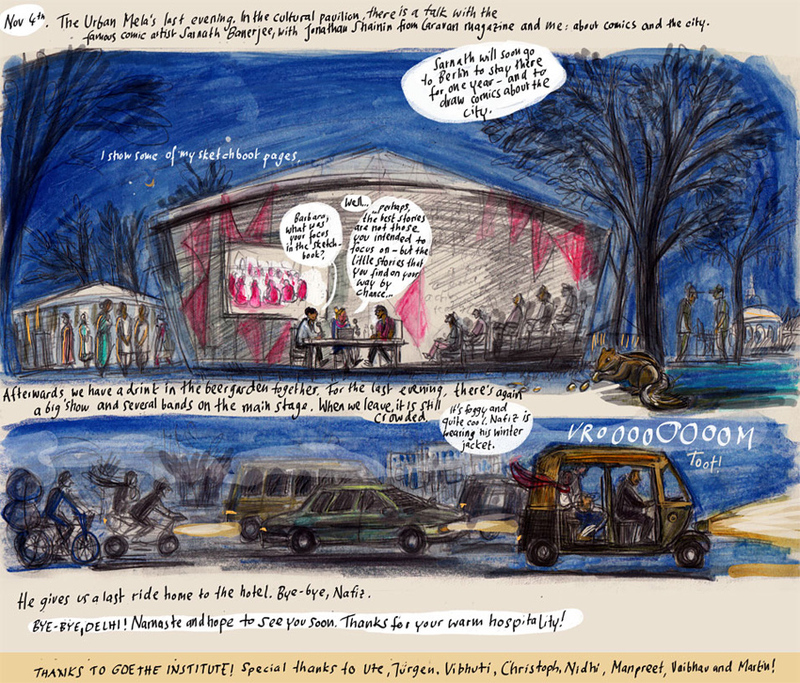 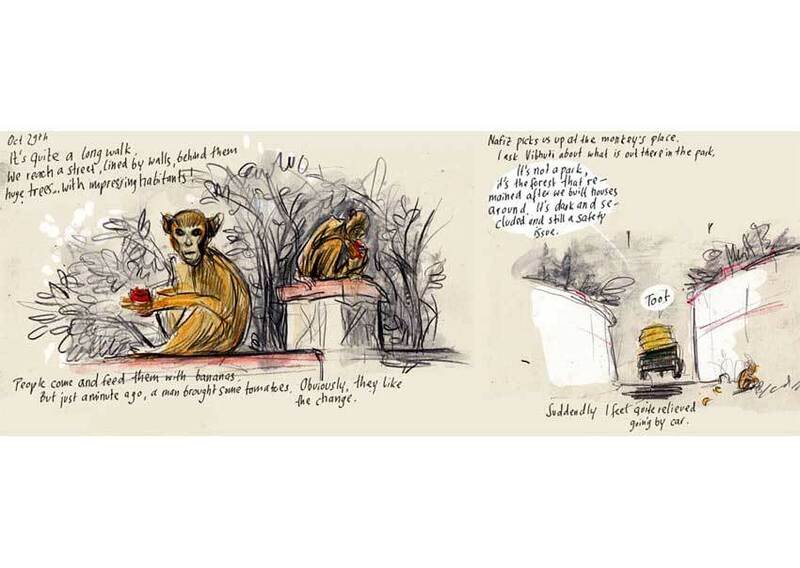 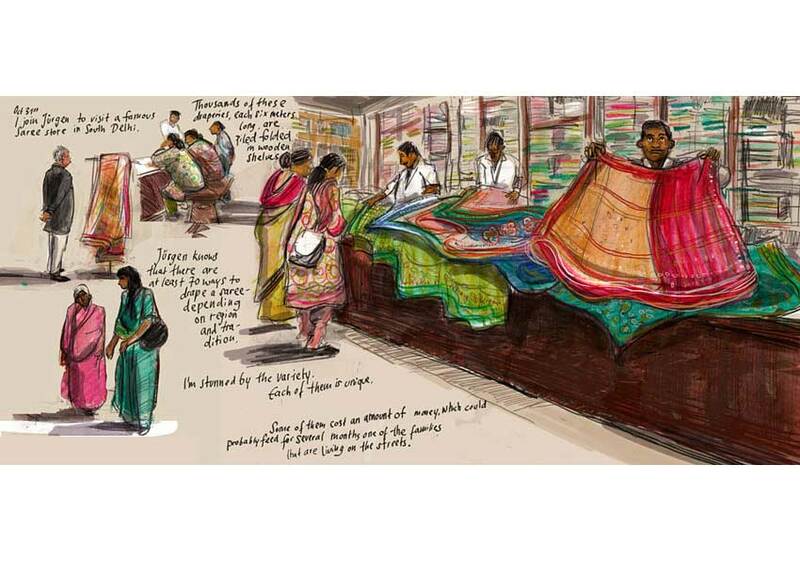 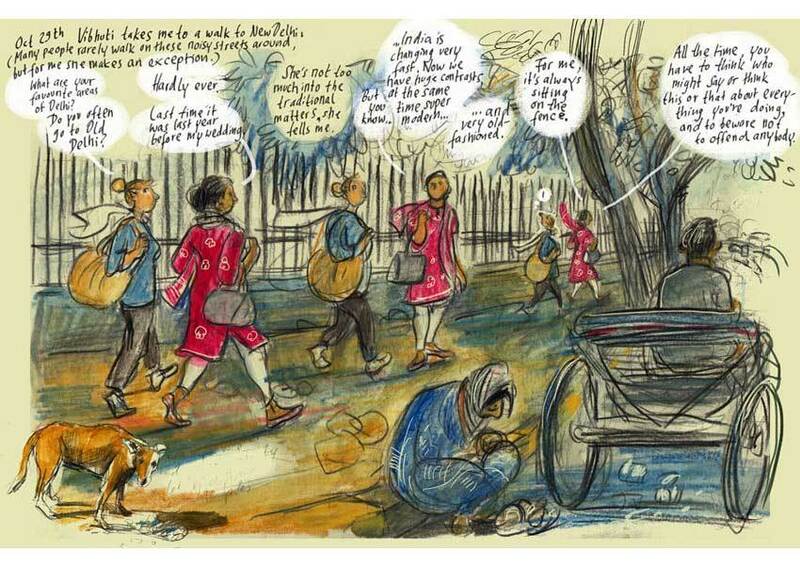 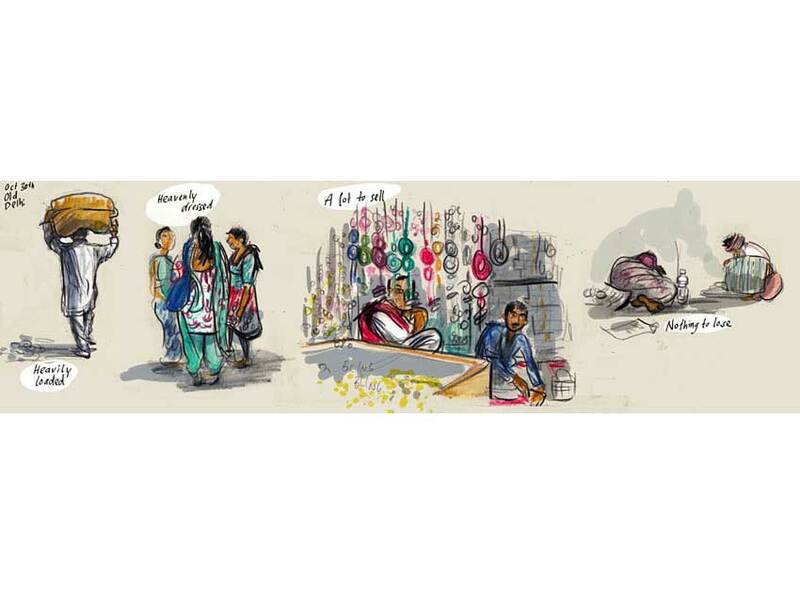 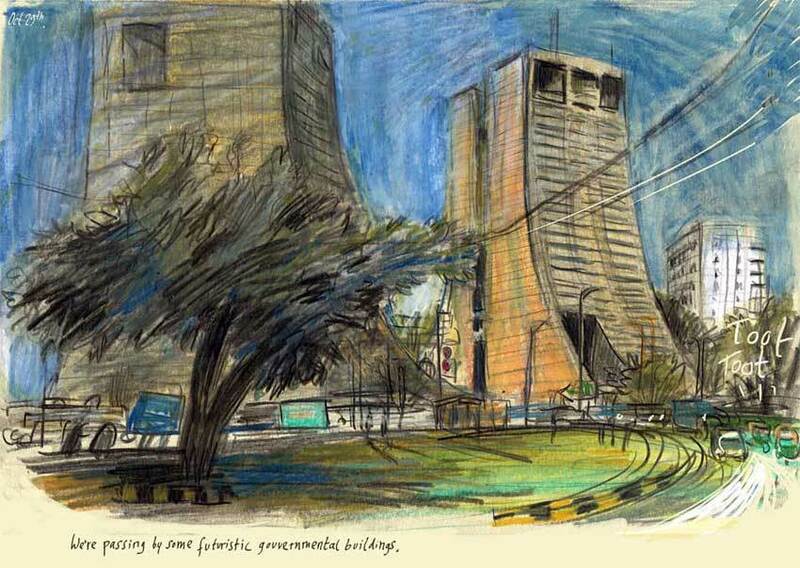 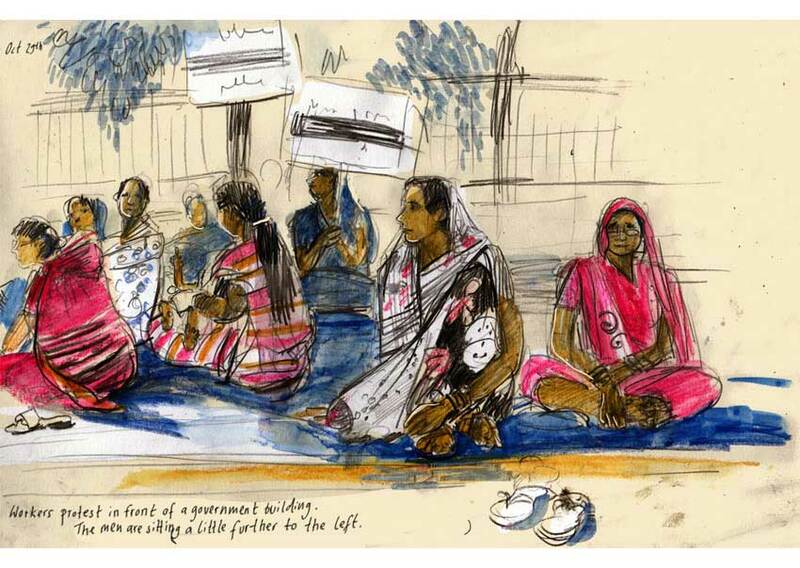 German comic artist Barbara Yelin, invited by Goethe-Institut / Max Mueller Bhavan to attend the Indo German Urban Mela in New Delhi, has filled her sketchbook with what she discovered at and around the Urban Mela. 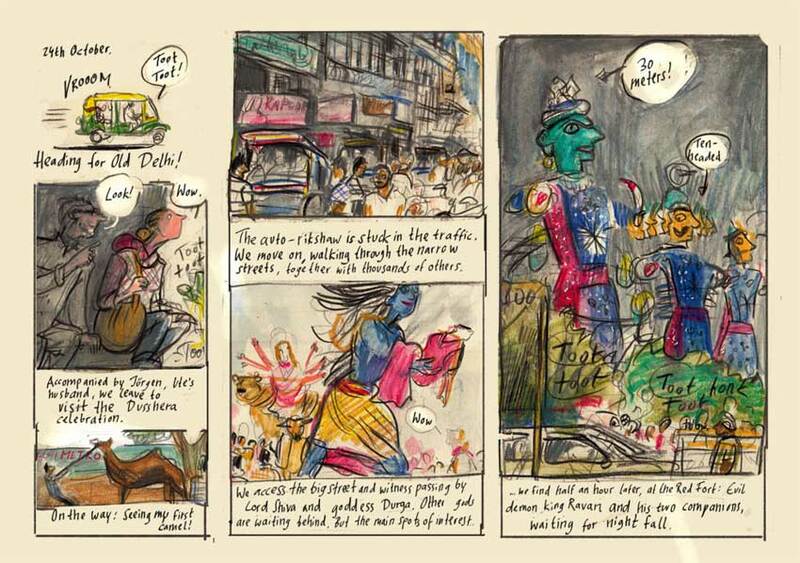 By meeting and interacting with visitors during the Mela and by exploring the bustling streets of Delhi, she aimed to gain impressions of an unfamiliar city and a new culture. 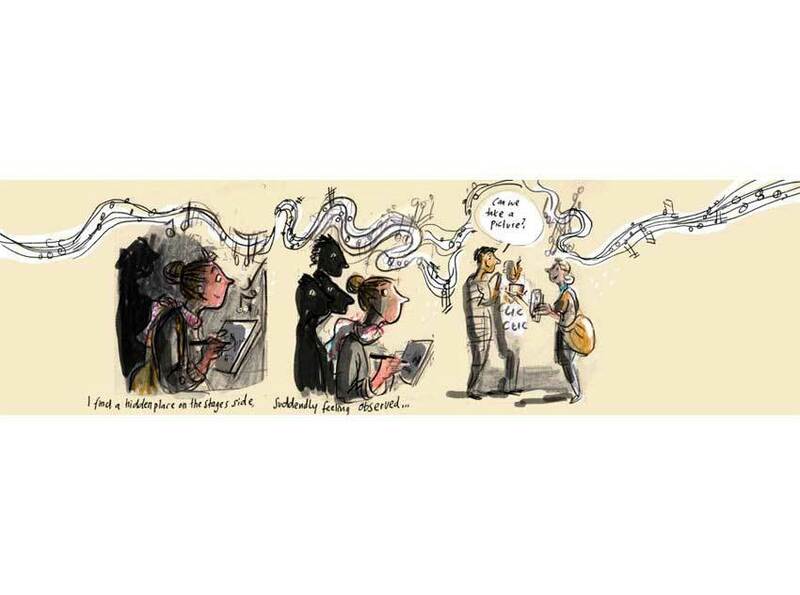 Twittering birds and honking fill the air and leave their mark on every new visitor. 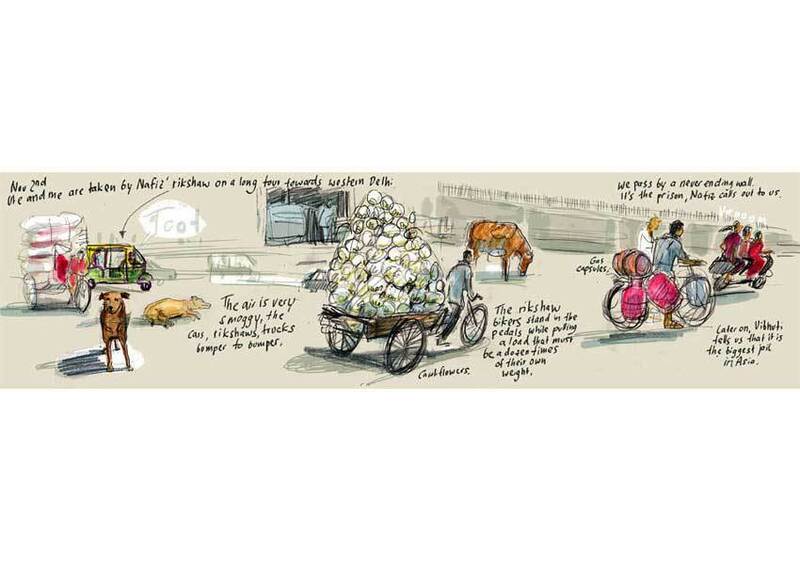 Travelling through Delhi, sometimes by riksha and sometimes on foot, past the camels and Gods, without understanding a word. The Urban Mela is still an impressive intercultural construction site. 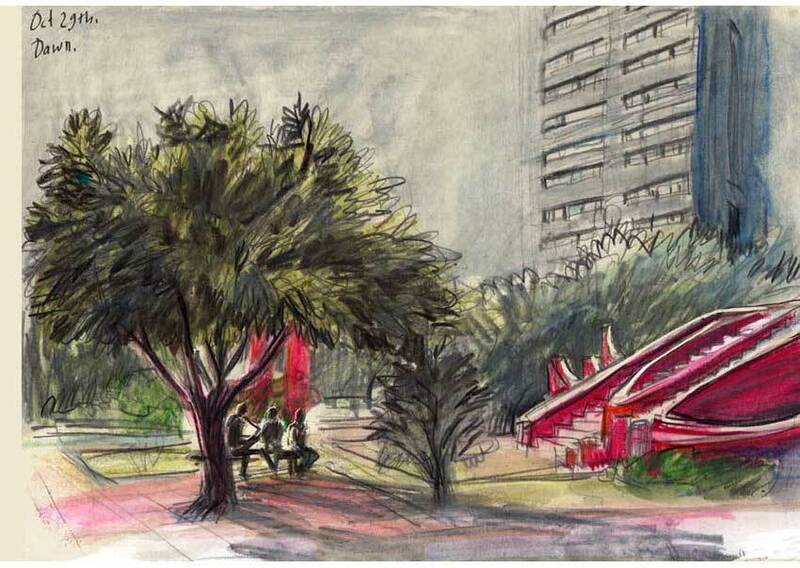 The Pavillions are being reconstructed for the fourth time. 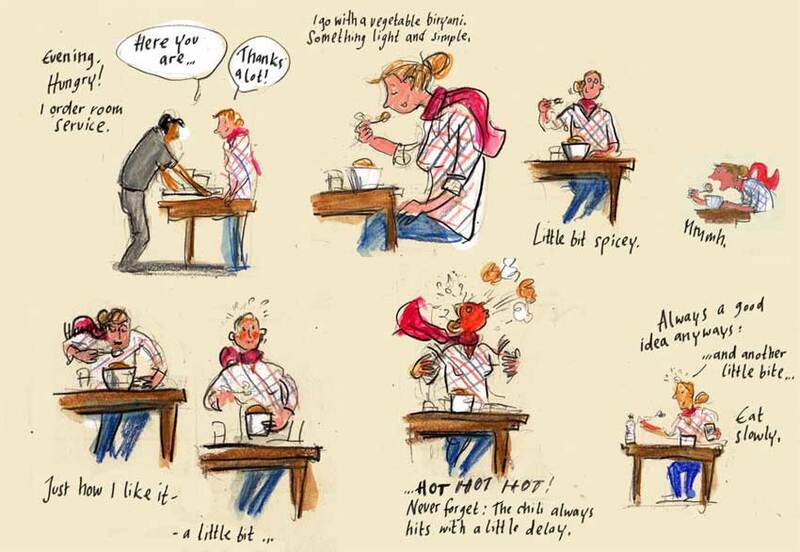 A busy and happening day makes you hungry and a few surprises are in store. 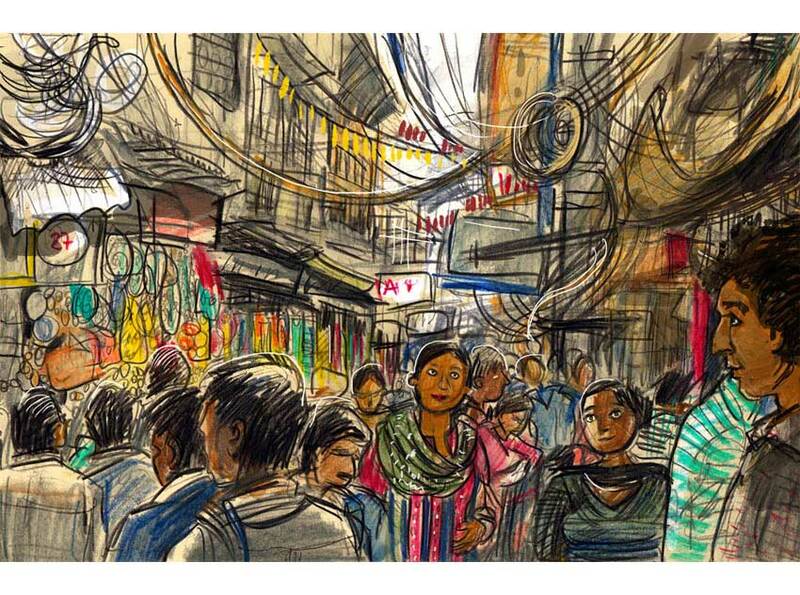 Colorful and diverse are the words that describe the Urban Mela. 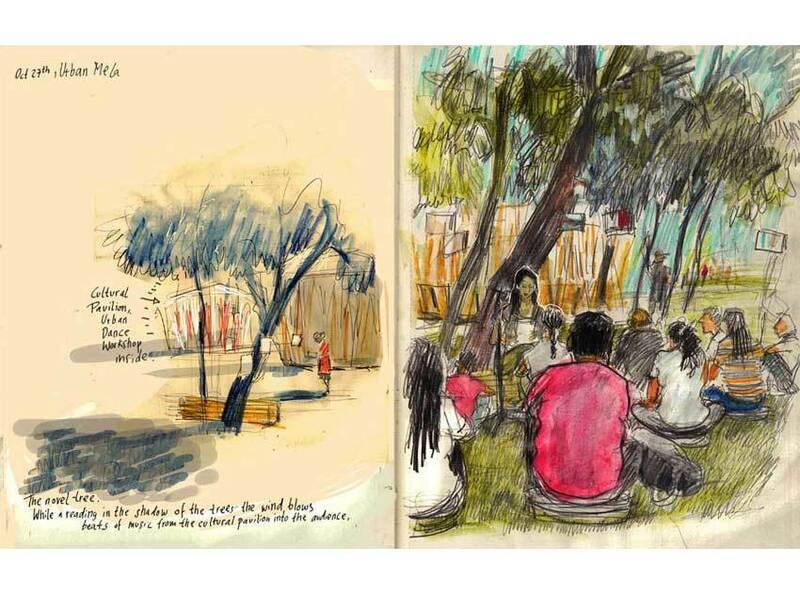 Football, Dance, Music and readings by artists and conversations with friends on art, culture and tradition give us unexpected insights. 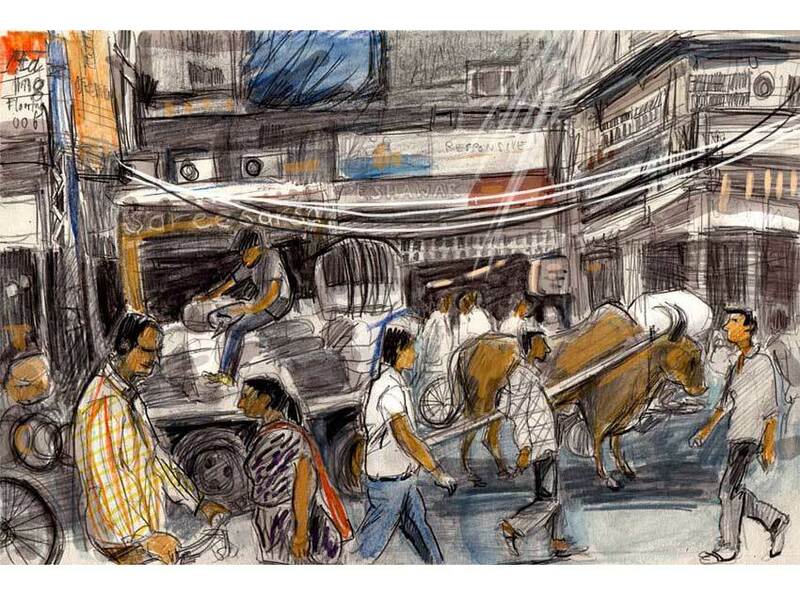 Walking through the streets of Delhi, along quiet streets and between modern buildings, past religious and historic buildings into a quiet evening. The old city of Delhi is best reached with the metro. 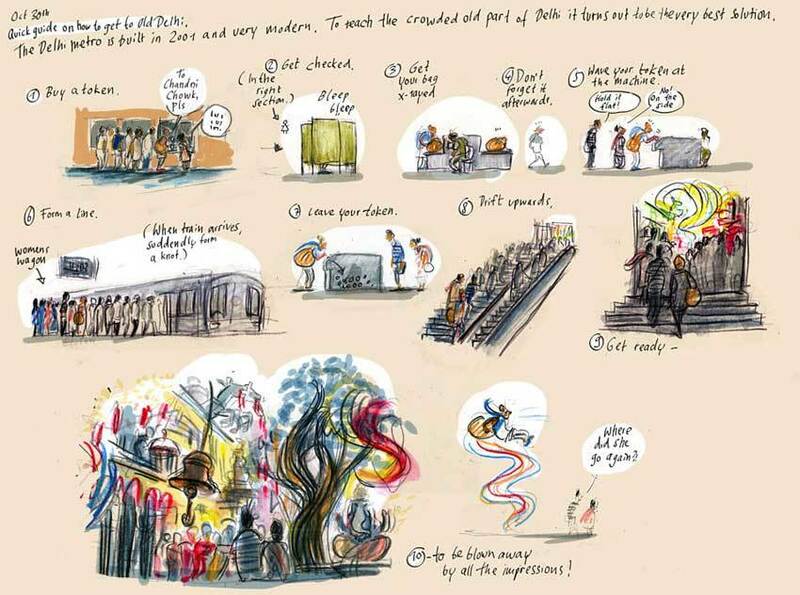 A lively and multi layered place, full of colors, sounds and smells, that challenge all the senses and provoke you to find out more about them. 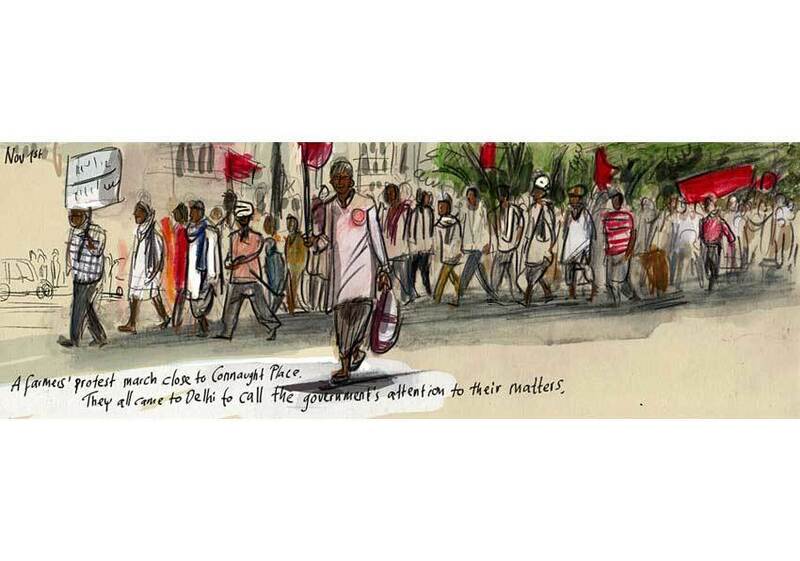 The Urban Mela in Indraprastha Park is home to a large variety of people: Reading authors and their listeners, people interested in culture and politics or just taking a weekend break and young ladies. 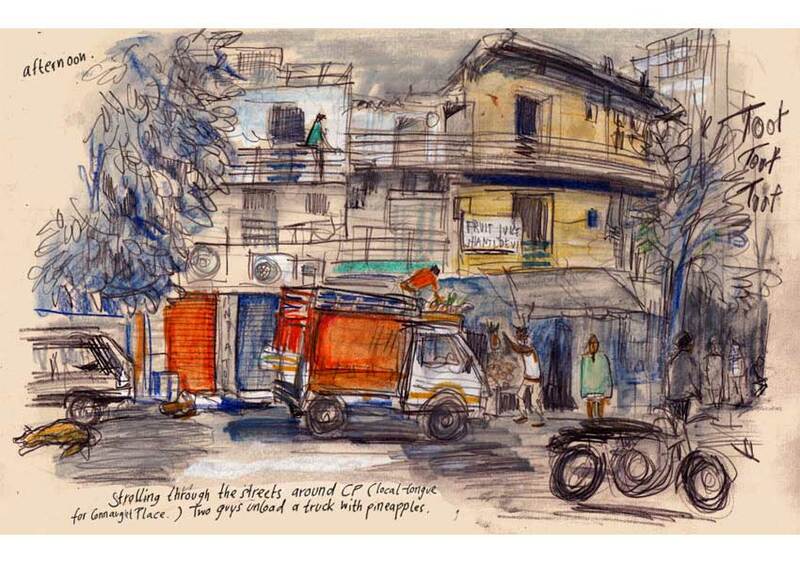 Intensive and heavy with experience are the days in Delhi. 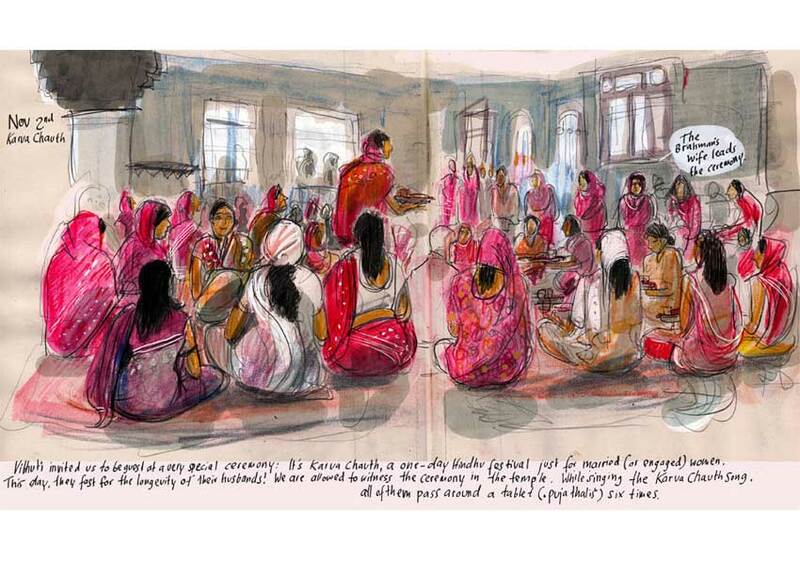 Surrounded by thousands of saris, farmers protests, an Indian family at their home on the festival of Karva Chauth. 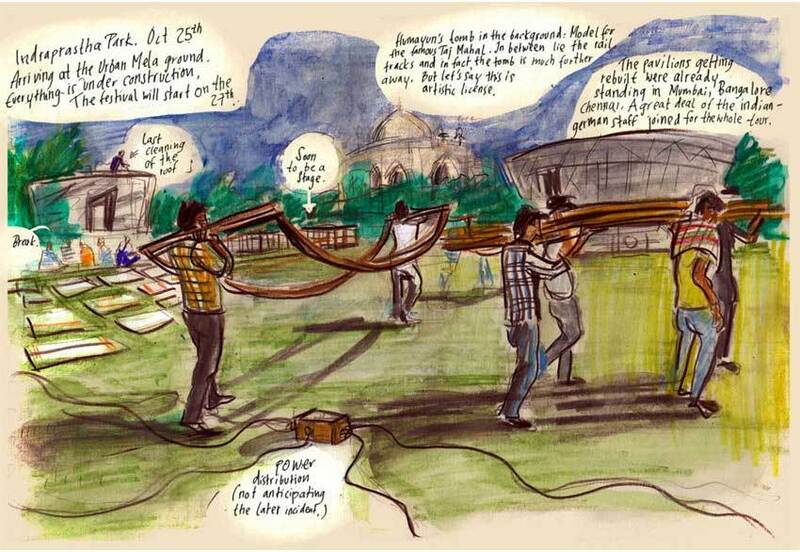 The last evening of the Urban Mela in Delhi. 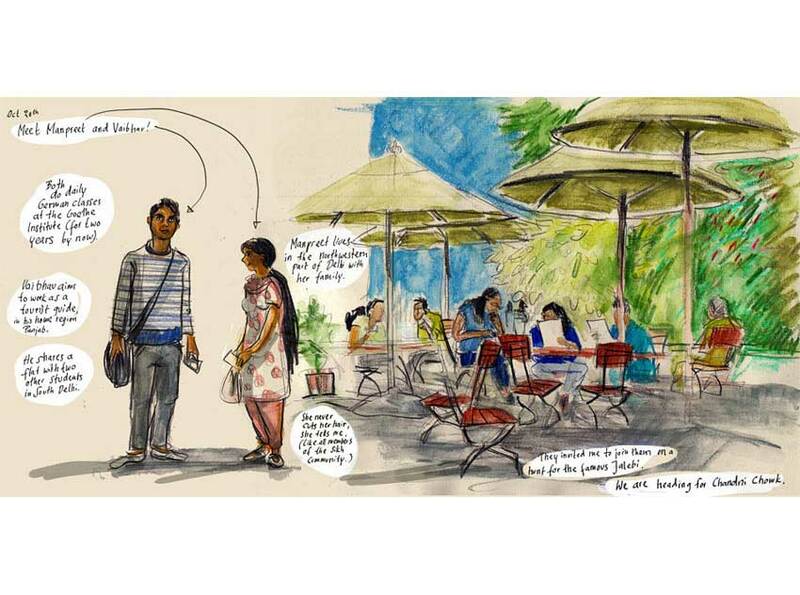 A conversation about comics and the city in the cultural pavilion. 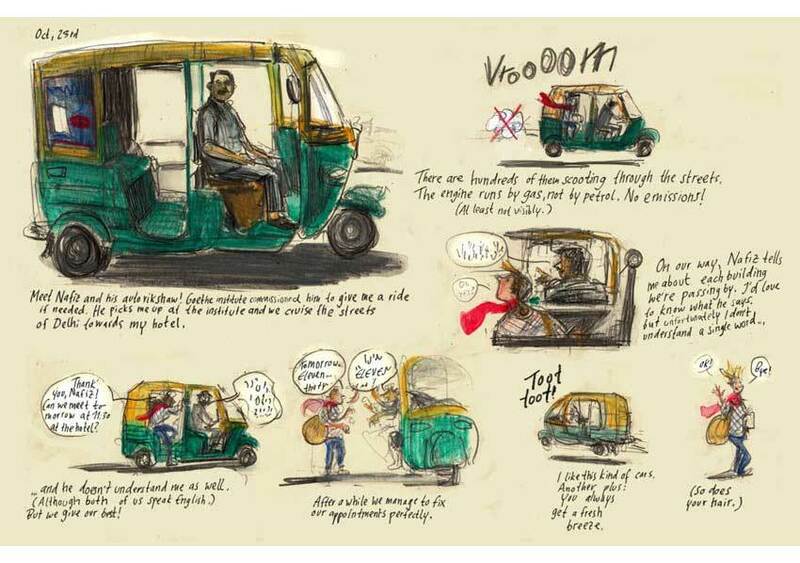 Spending the last evening together, one last ride on the riksha and than goodbye.